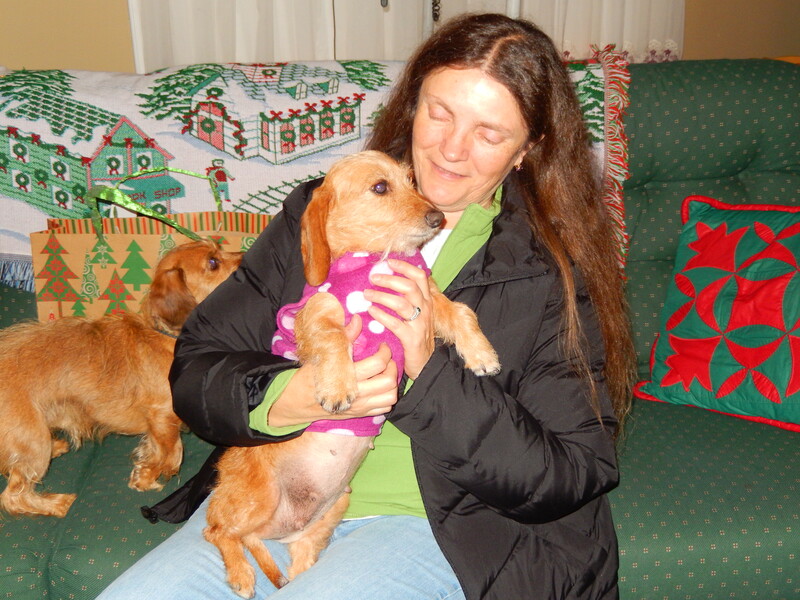 Cassie has left for her forever home Mom Alison and Dad Bill ( a bit camera shy) drove from New Hampshire to get her. Mom Alison has been adopting older Rescue dogs for many years. They have a beautiful home with 4 fur Brothers and Sisters for Cassie to cuddle with on these cold winter nights. They are such loving and caring people they gave me 2 beautiful Dachshund tree ornaments and a donation for the rescue. Cassie has truly found a caring loving home.